What Kind of Bath Hardware is There? When you are building a house or maybe even remodeling, I am sure you will probably buy all new hardware. Nice, shiny and new hardware. Let’s say it’s the bathroom hardware you decided to start with. What kind or hardware do you need for that? If it’s a bathroom you are remodeling, it might be easier because you simply replace the hardware that was already there. But what if you are staring at the blank walls and have not a clue of what type of hardware is even offered now. Let’s go over the different styles of bath hardware shall we? We can move on to the Towel Ring, for holding up your hand towels. 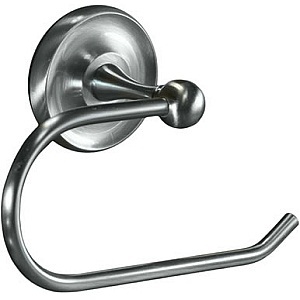 Also the Robe Hook, for your robe, or these can also work well for holding up towels. Available with a single hook or double. Then finally we have the Towel Bars. Generally, there is about 3 different sizes, 18″, 24″ or the 30″. So, you will want to measure your wall for sure before you order. Also, you can order the basic single bar, or there are the fancy double towel bars available. There you have it, you can order what you need by just choosing a style or series that you like (under Bath Hardware) and all the different types of hardware like, towel rings and towel bars etc… Will all be right there. Don’t forget that Direct Door Hardware offers more than just hardware for your door. We have a big selection of bathroom accessories to decorate your bathroom. You can find bath accessories from all of our major brands. You can search by brand or by accessory. Take a look and find what you need in your bathroom.